Anthony founded ASCO Restoration Services in 1996 in Hawkesbury, Ontario. While working for ASCO Construction Ltd, an institutional, commercial and industrial general contractor, Anthony saw a need for adding a new service to the family business to serve the residential and insurance restoration industry markets. A graduate from Ottawa University, Anthony strategically surrounded himself with competent advisors and experienced workers in the restoration industry which help the firm opened doors to the well known insurance companies of today. Today, ARS operates throughout the counties of Prescott-Russell and the counties of Stormont Dundas and Glengarry. Anthony is heading the firm’s expansion into new geographic location to better serve the industry and position to itself to respond to catastrophe disasters on a regional level. Mr. Jason Assaly is Gold Seal certified and has over seventeen years of construction industry experience, managing areas of contract administration, project coordination and management, scheduling and estimating for a variety of projects across Canada. Jason’s responsibilities include training, supervising and managing all estimating staff as well as ensuring detailed and up-to-date estimates for all construction work undertaken by the company. Jason’s also acts as Project Director ensuring the project management team meets or exceed project goals and milestones to generate maximum client satisfaction. Patrick has been a team member of ARS since September 2003 and has 12 years’ experience as a certified restoration technician. From general labour, carpenter, supervisor, project manager and now as operations manager, Patrick is responsible for overseeing the daily operations of the business. Patrick is bilingual and has a sound knowledge of residential, commercial and institutional project construction / restoration. Patrick provides the necessary planning, organization, direction and coordination of the emergency response and restoration team. From the initial emergency calls through the restoration, he ensures our clients properties are restored to the original pre-loss condition, in a safe, respectful and timely manner. Patrick holds IICRC certification in fire and water damage restoration, odour control and applied structural drying. Gérald has been a team member and partner at ARS since 2006 and has over 35 years’ experience in the construction/restoration industry. His career started in 1982 after the closure of the CIP Pulp and Paper Mills in Hawkesbury, ON. He holds a Construction Technician degree from Algonguin College (1975). From general labourer, to carpenter and foreman, and now as project manager, Gérald is responsible to manage the day to day operations of the business for all job sites and to ensure safe and successful delivery of all our projects. Gérald holds IICRC certifications in fire and water damage restoration. Kevin has 40 years’ experience in Business Administration and owned and operated his own successful business in the Hawkesbury Area for that many years. Kevin joined ARS in 2007, become partner shortly thereafter and has since learned all facets of the restoration industry while holding the dual role of operations manager and project manager. Kevin’s responsibilities have now evolved to establishing contact with potential customers, proactively maintaining relationships with new and existing customers, business development and marketing. Kevin is also responsible for programs and system for the business and ensuring that we continually meet and exceed the expectations of our clients and insurance companies we work for. His hands on experience in construction/restoration combined with concerns for a job well done assist him in mainting long lasting and constructive relationships with clients and professionals. Kevin holds certification in IICRC fire and water damage restoration. 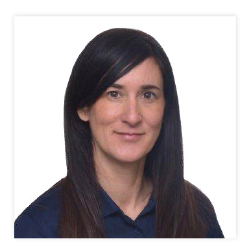 Miss Marie-Josée Brunette is an Estimator and Project Manager for Asco Restoration Services, Marie-Josée has more than 10 years experience in the industrial and commercial construction sector. Her experience allows her to carry out final figures for estimated construction cost with respect of timescales and agreed specification of all project. She will also establish effective methods to meet respective deadlines manage budgets and co-ordinate with the client, consultants and all sub-contractors, laborers and suppliers to meet project specific activities. She is certified by IICRC for Fire and Smoke Restoration, Water Damage Restoration and detains a Mould Awareness certification.